Â Â Â Â Â Fall has fallen, and winter is on its way, yet another season seems to be prominent due to batik springing up everywhere! 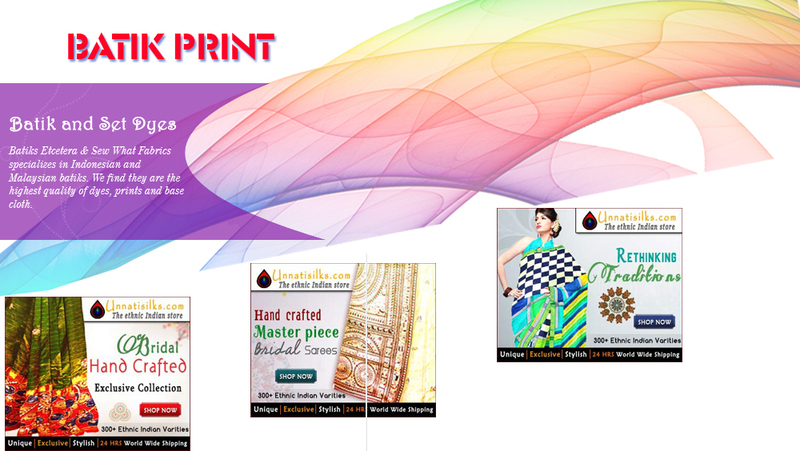 This ancient printing craft originated in Java, and has been practiced there for centuries. Batik is generally observed as an indigenous Indonesian (Java) textile, Fashions and furnishings are utilizing batik prints in increasing numbers, causing their industries to acknowledge the beauty and artistry of this brilliant 2,000 year-old tradition.